This movie was a mess when it hit the big screen so hopefully it transfers better on the smaller home theater. Director Ang Lee shot the film in stereo 3D, 4K, 120fps. This grand, experimental undertaking looked good on paper but there were only a few screens that could show it that way. So what was the purpose? Having the 4K release will make the picture stunning and it will look better than most past attempts. The blu-ray 3D will look average. All that said it doesn’t help with the odd story. 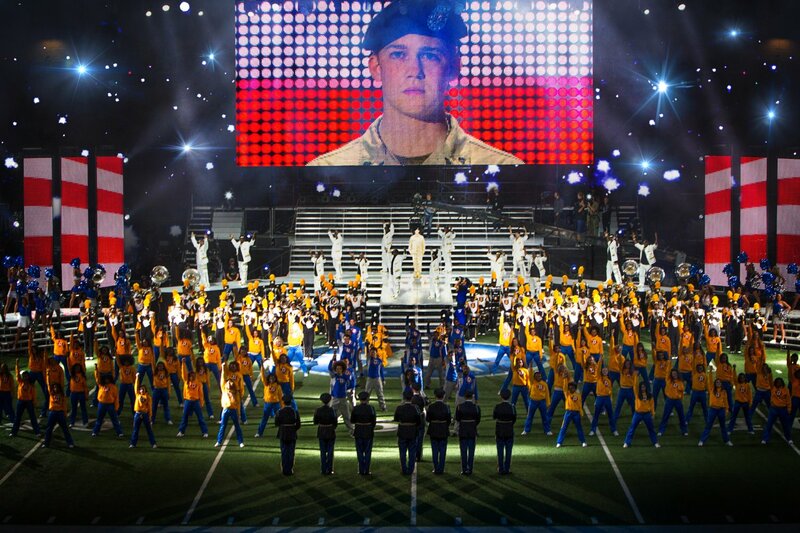 Billy Lynn is a 19 year old war hero. He and his platoon are brought back to be paraded in front of America. The film shows how the perceived often contrasts with the reality of war. Billy feels nothing like a hero and though flashbacks and conversations we get an idea of what actually happened. When I saw the press screening last year I thought maybe it was a true story. The halftime walk takes place at a Dallas Cowboys Thanksgiving game. The filmmakers go to great lengths to make you think this actually happened. The names have been changed but you get an idea who is who. All the way down to Steve Martin’s character Norm who is obviously Cowboys owner Jerry Jones. It isn’t horrible and actually might play better at home. It was odd in the theater because none of the shots played out as they were intended which was a huge distraction. Without that the characters may walk a bit more upright. Certainly one for the 4K collectors and those fans of the military genre.